Slowly scan the predominant muscle groups to be used during the competition. 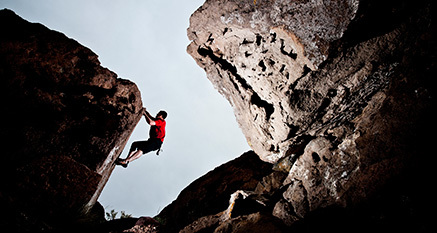 Use the Over-Pressure technique for maximum depth of penetration. Make sure athletes use the GameDay Laser a minimum of ½ hour prior to game or event. Refer to your GameDay plan. The GameDay plan will detail the correct locations and doses for you based on your personalized performance plan. Slowly scan (1 centimeter per second) with slight pressure the length of the predominant muscle group. Repeat as necessary during performance as able and/or needed. 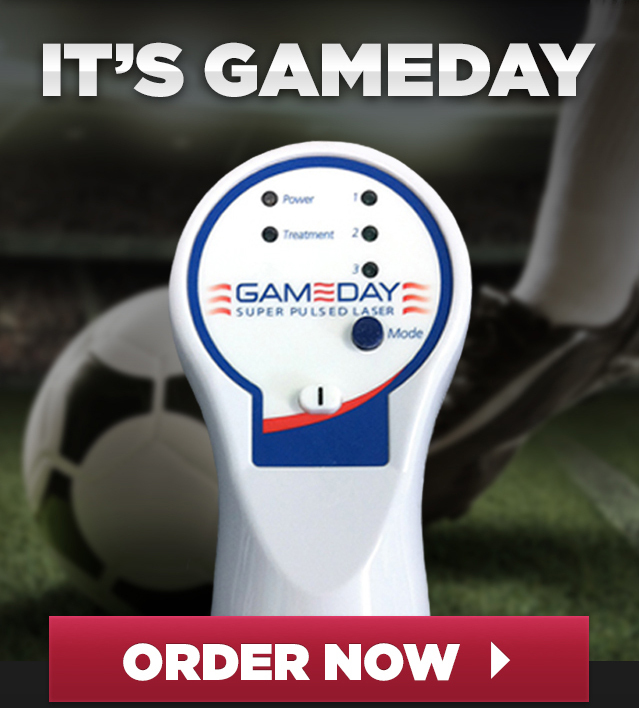 Place the GameDay Laser directly on the muscle groups used at your position in your sport (Football-Neck, Arms and Shoulders, Soccer-calves and hamstrings). Press the laser firmly and scan the muscle group from top to bottom counting “One Mississippi’s". Be sure to customize your treatments with your own specific GameDay plan. Use the “three-point” rule. Treat arms at the inside of the elbow up toward the shoulder, then from the knee up to the groin, and finish with the inside of the ankle up to the knee. Use at timeouts and breaks as needed, up to four times during the competition. If competing in multiple events, try to save treatments for the beginning of each event. 1) Clinical Trial by Antonialli et al concluded the GameDay Laser treatment had a “protective” effect on the muscles minimizing oxidative damage compared to placebo and protected against fatigue. 3) Improved performance by 20% (over placebo) during the activity, and a noted increase in performance by 10-15% after 48 hours!! 7) Barnes, et al found that 80% of all pitchers were able to improve total pitch count (p<0.023) by 16% with one active laser session that lasted less than 5 minutes! 8) Clinical Trial Vanin, et al demonstrated a 100% improvement in strength after 30 days compared to the placebo by administrating pre and post lifting treatments with the Multi Radiance laser for 30 days and found at 120 days there was a 150% improvement when treatments were given before the exercise. 9) Miranda, et al demonstrated the Multi Radiance laser produces statistically significant improvements in running. A single pre-exercise improved time to exhaustion (p<0.000), the distance travelled (p<0.023), pulmonary ventilation (p<0.004), VO2 max (p<0.003) while decreasing dyspnea (p<0.000).